While many people believe that renovations increase the value of their property and, therefore, the return on investment, in many cases, renovating your home before you sell can be a myth. Sometimes, sellers focus on the wrong things. More often, they forget to calculate the potential return before burning all the cash they have. At the end of the day, all the work you put in should help you make money, not to make your home the most shining star on the street. Doing it right, your home will attract solid leads and serious buyers, making home selling a more pleasant experience for you. Doing it wrong, however, your renovated home will only be a waste of time, oh and of course, money. Below we have listed some of the easiest but more rewarding renovations (and what to avoid) to help you sell your home smart and fast! Let’s admit it, while the interior plays a significant role in home selling, sometimes the door can be the deal breaker. As a seller, you should make sure that the exterior of your house is inviting, and nothing works better than having a nicely painted door. You might even want to replace the door if there are too many visible cracks on the door. As for the color, choose a color that pops, such as yellow, cool turquoise, orange, and minty green. 2. Focus on the kitchen. Buyers tend to care a lot about the kitchen — after all, food is an essential part of everyone’s lives). So instead of spending thousands of dollars on the light fixtures, you should focus on renovating the kitchen. Keep in mind, though, that your end goal is to increase the home value of the house and make more money when you sell. Do not blindly equip the kitchen with the most state-of-the-art appliances. You should renovate your kitchen according to the local trends. If black appliances seem to be the local flavor, yours should be the same. 3. Add a refreshing touch by painting the walls. Painting the walls is one of the quickest and most inexpensive ways to reinvigorate your house, especially if your walls are dirty and old. Of course, paint colors do matter, and the truth is, white walls are over the hill. Homeowners nowadays embrace all different shades of grey, and they love colors that stand out. Remember, it is always wise to do your own research to learn more about the dazzling and trending colors buyers like. Roof leaks are really, like really, scary, not just for the buyer, but for you, too. While there are always tricks to help you hide the leaks, the truth is, you are required to disclose roof leaks as a bad roof can easily make the house uninhabitable. Even if you decide not to say a word, the home inspector will most likely discover it anyways. Indeed, replacing a roof can be expensive. But, hey, the last thing you’d want is for the buyer to walk away from the deal because of some easy-to-fix roof leaks. 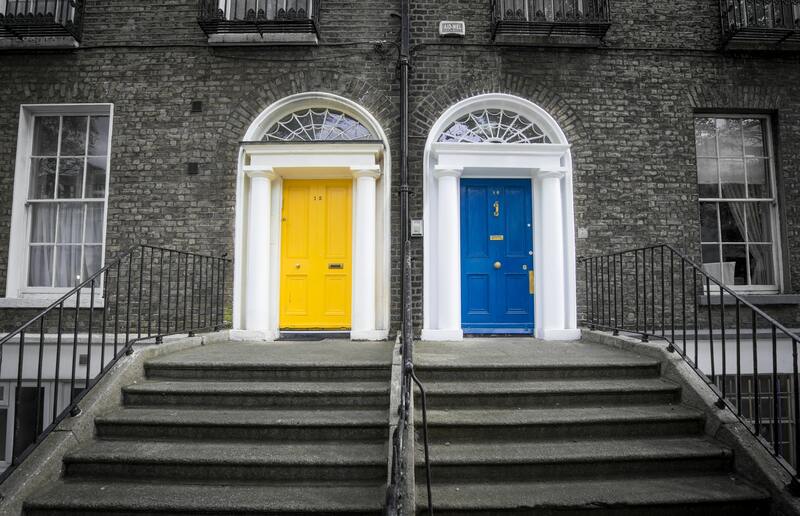 As we mentioned in #1, the condition and color of your door is key to success, and the same goes for the exterior of your property. Make sure that you’ve swept the leaves off the curb and mowed the lawn before you start showing. If you have enough budget, consider repainting the exterior. A fresh coat of nice shade will assuredly make your house more attractive to potential buyers. Simply put, the key is to make your house as clean and alluring as possible, as the first impression is always crucial! 6. Do not work on the flooring if you are on a tight budget. Indeed, buyers care a lot about the flooring. Having hardwood flooring highly increases the value of your property and attracts more buyers to you. However, refinishing or redoing the flooring can be costly, and therefore lowers your return on investment. What do you do if you have really old floors? Well, carpets are always an option! 7. Do not worry about the bedrooms. Chances are the new owner will have their own beds and preferences in terms of how to utilize each room. The money you put into renovating the bedrooms will just go to waste. Instead of going full-on renovating the bedrooms, consider moderate staging. A staged bedroom with light fixtures and a bed will help the buyers picture their lives in the house, and it does not cost you a fortune. 8. Patio? Desk? Do not even think about them. The worst timing to take on major expenditures is right before selling. Ask yourself, do you get to enjoy the new deck? Are you going to make every dollar back? Remember, the renovations are supposed to help you increase your home value, not to add new things to the property and burn all your cash. You also do not want to miss the timing to sell because your contractors could not finish in time. Selling your home, just like buying, is perhaps the most important decisions we can make in our lives. It requires planning, commitment, and energy. The earlier you start prepping yourself and the house for the sale, the better. Remember, renovations often take longer than you think!